It’s a new year, and that means Canadians from BC to Newfoundland are going to try to make changes to their life. In fact, improving finances and getting health and fitness on track are the two most common goals set out by Canadians each year. At Health Risk, we love to see Canadians striving to improve their health, so if 2018 is your year, we’re here to help. With over 35% of Albertans being overweight and an additional almost 24% being obese (that means 6 in 10 Albertans are unhealthily heavy), Alberta is easily the fattest province, but the others aren’t far behind. Obesity is an epidemic that increases a person’s risk for many diseases and problems. There are a ton of different diets, and each one will work a little differently depending on your specific genetic makeup and nature. Instead of suggestion a specific diet for everyone, we encourage you to talk with your doctor and come up with a dieting solution that works for you. Doctor Aaron Carroll has a great discussion on the many dieting options available to North Americans. This year, researchers realized that remaining stationary may actually be worse for people than chain smoking. Many of us work at jobs where we’re either sitting or standing still for hours a day. In order to protect your health, it’s vital that you get up and move around throughout the workday. Take the stairs instead of the elevator! Instead of sipping coffee at your desk, drink your coffee as you walk around for two minutes. Even a short break every hour can make a huge difference. 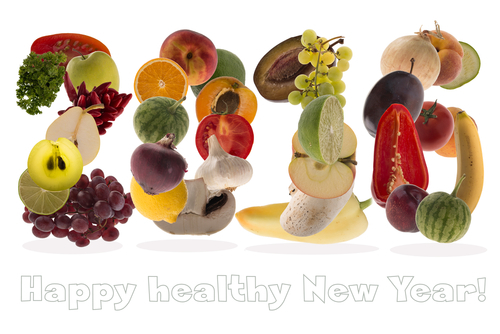 Are you ready to get your health on track this year? Health Risk has the benefits you need! Whether your 2018 would benefit from regular visits to a physiotherapist or extra help from the dentist, Health Risk can help you meet your health goals and feel better.